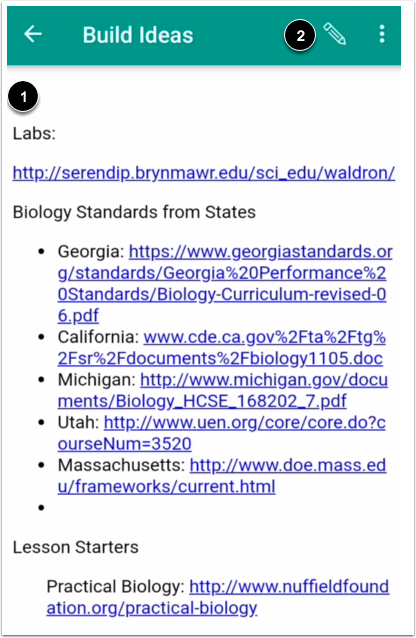 How do I view Pages in the Student app on my Android device? Canvas lets you access Pages from your mobile device. 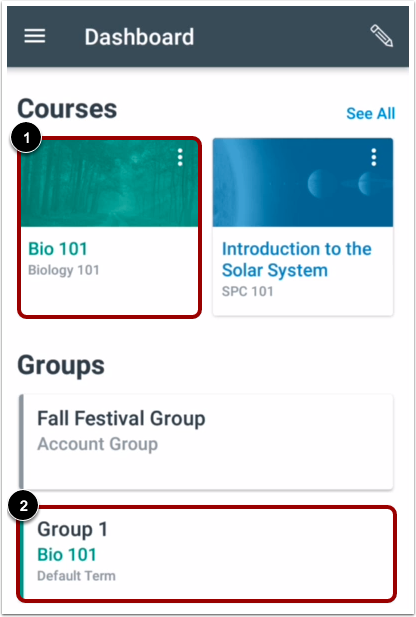 You can view pages in a course or group. Note: The Course Navigation menu matches the browser version of your Canvas course. 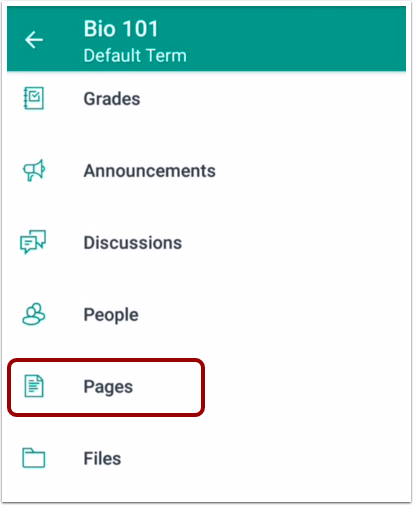 If Pages is not available in your Course Navigation, it will also be hidden from view in the app. In the Dashboard, tap the name of the course  or group  that you'd like to view. Note: You may need to swipe up on your screen to view Pages in the Course Navigation menu. 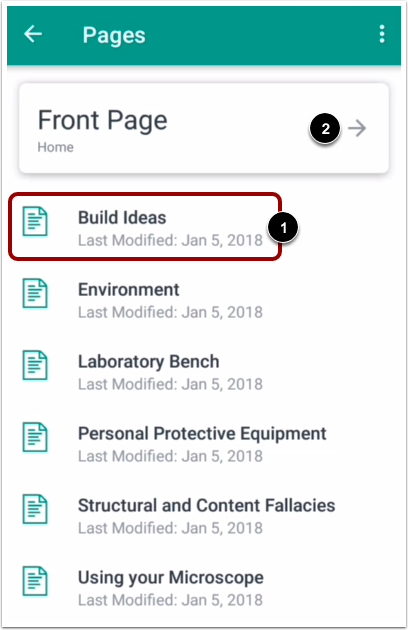 View the pages in your course or group. To open a page, tap the page name . To open the front page, tap the Front Page button . To edit a page, tap the Edit icon . Note: If the Edit icon does not display on a course page, this option has not been enabled in your course. To edit page content, tap the area you want to change . 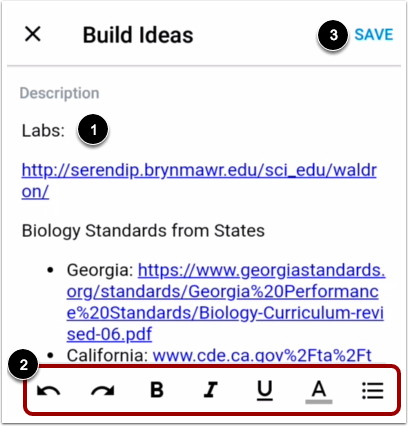 To format your text, insert an image, or add a link, use the Rich Content Editor icons . To save your changes, tap the Save link . Previous Topic:How do I choose an assignment group in a module in the Student app on my Android device? Next Topic:How do I view People in the Student app on my Android device? 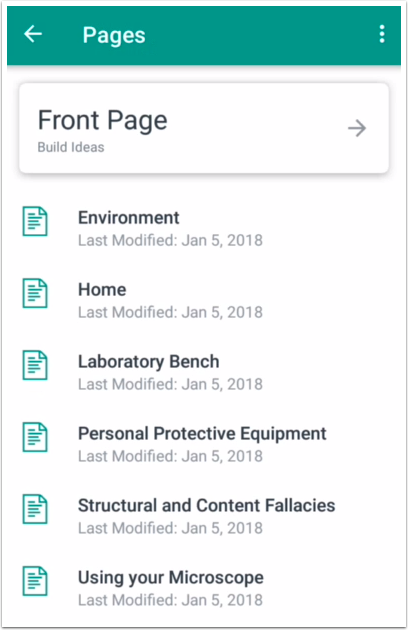 Table of Contents > Course Features > How do I view Pages in the Student app on my Android device?